The B. MAKOWSKY Yvette Tote in Black is currently selling for just $83.51 on Amazon.com! 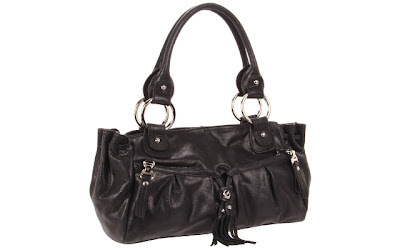 You will be saving 72% off the listed price of $298.00 with this handbag deal. What I like about this B. Makowsky bag is the perfect size and shape. It combines the best parts of a tote and a satchel. I also love the small fringed tassel on the front that adds a touch of flirtiness to this bag.